Through self exploration, and study of the psychology and dance fields, I have seen the many ways that movement exists as a universal means of communication. Coming to Panama, I was eager to see how this idea played out despite language barriers. The second the children ran into the classroom, my nervous anticipation subsided, as the children began to participate immediately. My broken Spanish and lack of prior teaching experience didn’t get in the way of communicating how to do the steps. This was because all of the children, as well as myself, shared the same love, dance. Movement changed behavior–rowdy children were calm by the end of the week. Movement changed expression–shy children became leaders. And movement changed physical ability–within only five short days, children could perform full choreography for an audience by themselves. 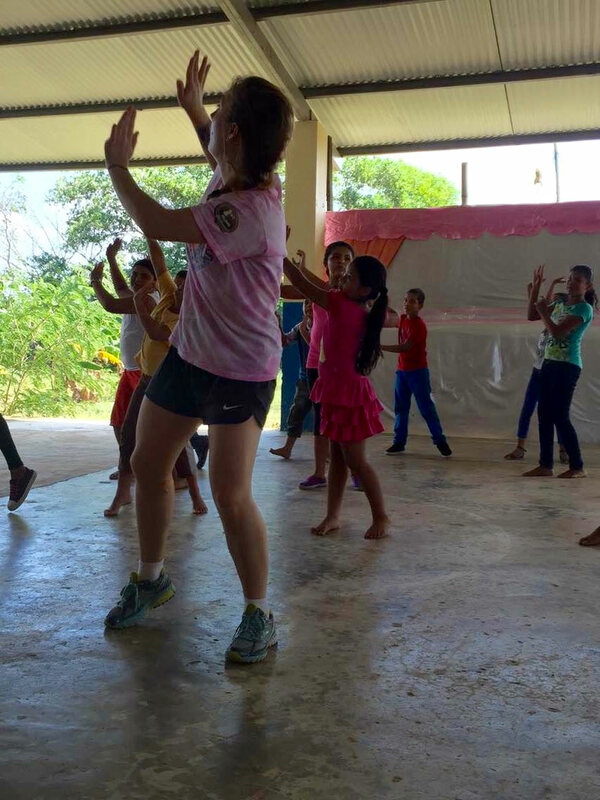 The power of movement is astounding, and was evident throughout my entire teaching journey here in Panama. My mission feels nothing but further from complete, as I hope to share the power of movement with children all over the world. My favorite part: “Movement changed behavior–rowdy children were calm by the end of the week. Movement changed expression–shy children became leaders. And movement changed physical ability–within only five short days, children could perform full choreography for an audience by themselves.” Thank you for sharing Lyndsay! We will miss you!